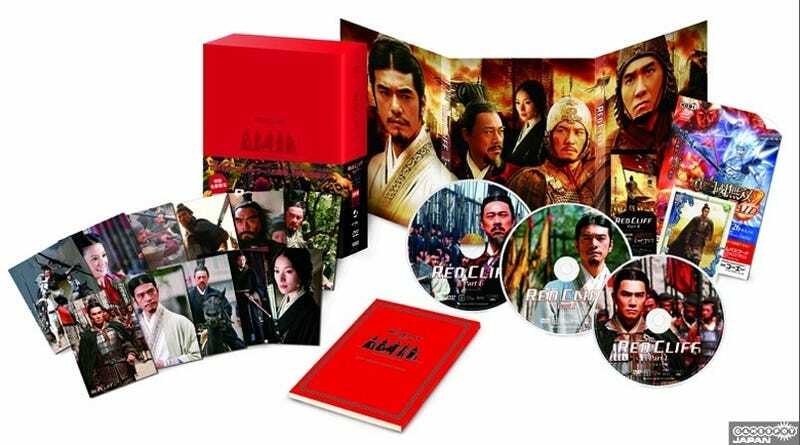 Red Cliff, the latest from Hong Kong action director John Woo (Hard Boiled, The Killer), is coming to DVD in Japan this March. What's that got to do with gaming? Buy either Red Cliff Part I Standard Edition or Red Cliff Part I Collector's Edition and get a bundled Shin Sangoku Musou: Multi-Raid (Dynasty Warriors: Strikeforce) flier that includes a password players can use to unlock in-game armor for their characters. Both Red Cliff and Dynasty Warriors are based on Ancient China's Three Kingdoms period.